Are you facing problems after or while upgrading your Windows to Windows 10 (April 2018) update version i.e., 1803? Well then, no need to worry at all. As here we have discussed several errors which usually occurs while upgrading to the April 2018 Update. So, basically we have highlighted the common issues arrived during Windows 10 (April 2018) update and Steps to their respective fixes. Recently, in the month of April 2018, Windows 10 update (Version 1803) has arrived all over the world. As Windows provide such Update at free of cost and is also compatible with all the desktops, laptops and tablets, that is why this latest update is rolling out across the world. In this Windows 10 latest update, you will get new exciting features as well as productivity, security and performance. But, along with the new features you might also face some problems. The encountered problems are not always because of compatibility but also due to installation failed. There are several factors that might cause installation issues including outdated drivers, conflicts with program and applied configurations. 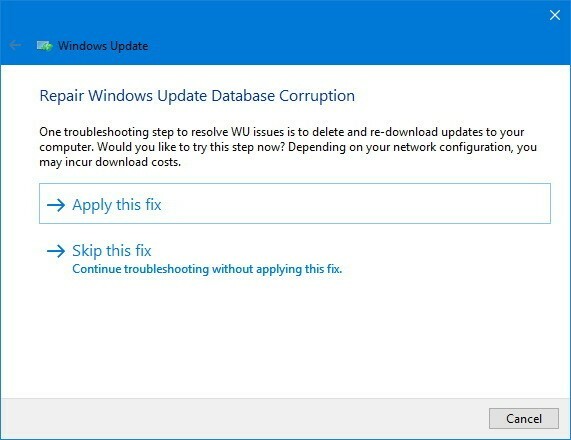 In this blog, we will highlight number of common errors and few steps to fix them while upgrading Windows 10 (April 2018) Update. During installation of new Windows 10 version 1803, you may encounter few problems. Technical specialists have notified usually users not knowing the reasons liable behind the occurrence of all these errors. So, here we are providing complete guide to resolve the issues occurs during and after Upgrading Windows 10 (April 2018) version. There are several ways to fix errors that occur while updating Windows 10 version 1803 in your device. 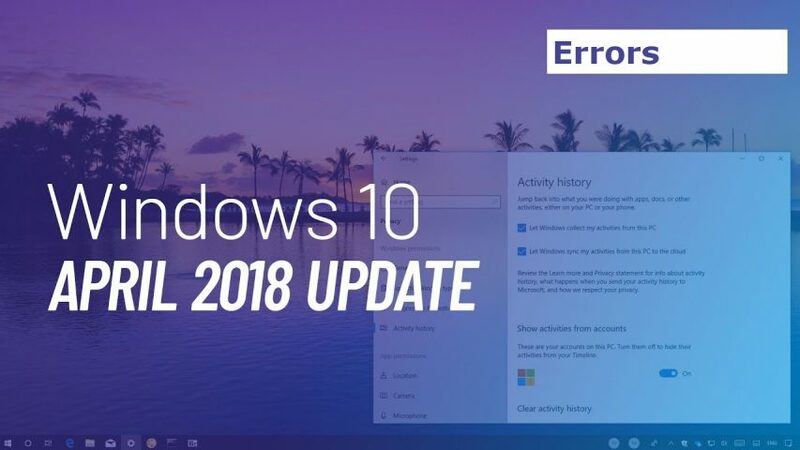 These update errors mainly occurs due to the generation of error messages that restrict you from updating Windows 10 (April Update) in your system. 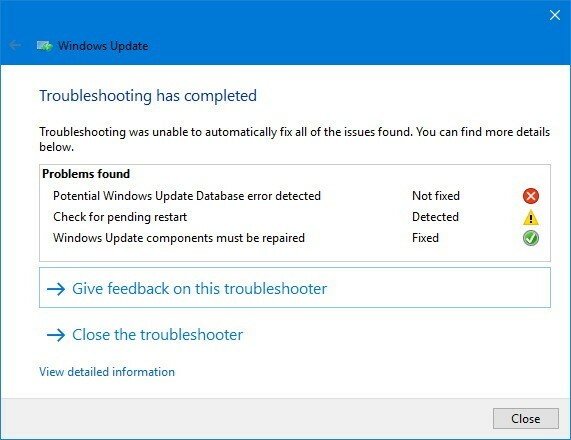 If you are facing such issues, then easy and quickest way is to use Windows update troubleshooter tool and here we have discussed few steps to resolve your issues by using this tool. Step 1. Open Settings in your PC. Step 2. Click on Update and Security Icon. Step 3. Click and Open Troubleshoot Tool. Step 4.” Get up and running” appeared on the Screen. Step 5. From there, Select Windows Update option. Step 6. Click on the Run the troubleshoot button. Step 7. Click on Apply this Fix option. Step 8. After that, follow the on screen Instructions. Step 9. At last, Restart your device. Click on the button Check for updates and once again upgrade your system. But, sometimes there can be a problem in network adapter. 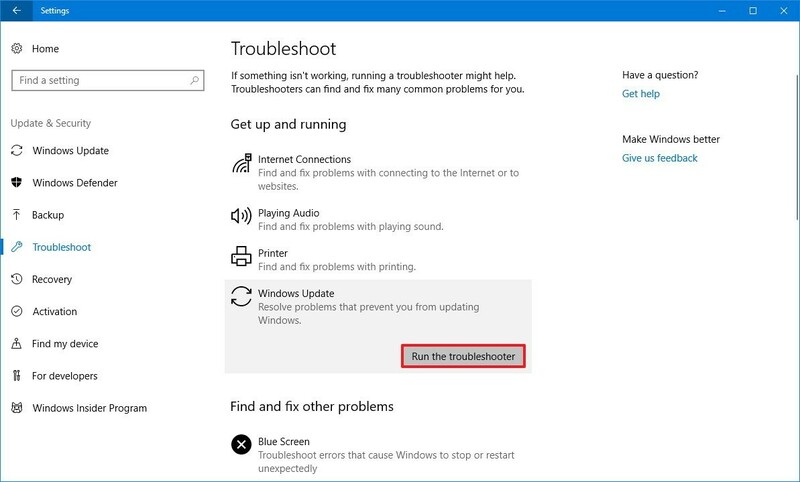 In such scenario, simply use Network Adapter troubleshooter and follow the aforementioned steps. When you are encountering error 0x800F0922, then disconnect your current VPN connection because this error may occur due to active VPN. 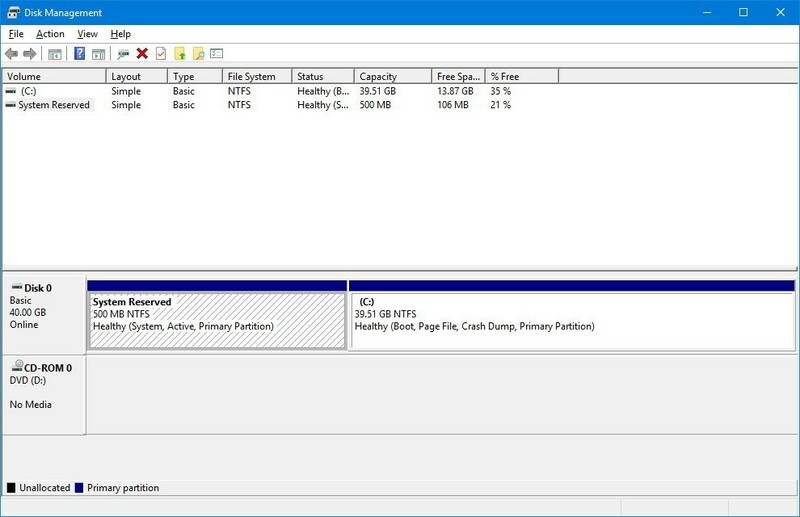 Error 0x800F0922 often occur due to System reserved partition. It is very unusual to have such problems but sometimes it may happen due to 3rd party software such as security software may save the data other than system reserved partition. To fix this error, tool is required to re-size and to increase the size of system reserved partition larger than at least 500 MB. Along with above mentioned tool, you might refer media creation tool to fix error 0x800F0922. As this error clearly indicate that the incomplete installation of Windows 10. Media creation tool is the best way that will definitely help you in resolving your issues. The unexpected error 0x80190001 most commonly occurs while upgrading various file for downloading or installing latest Windows 10 version 1803. Thus, follow the steps will help in removing temporary installation files. Step 1. Open the Start tab. Step 2. In search icon, type Cleanmgr and click to open it. Step 3. 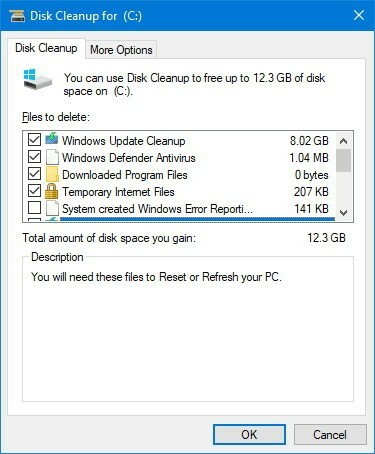 After Clicking, it result to launch Disk Cleanup. Step 4. Always Select the C: Drive. Step 6. 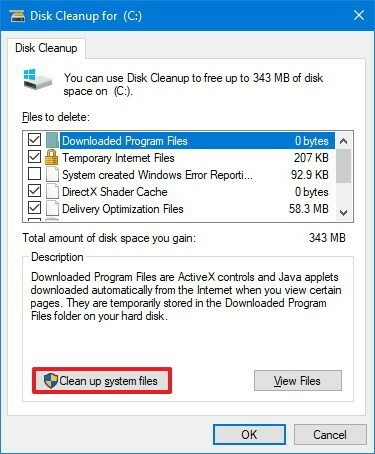 Click on the Cleanup system file button. Step 7. Be sure that you have selected C drive only, then Click on OK button. Step 8. Select Temporary windows installation files. Step 9. Click on the OK button. Step 10. Finally, Click the Delete Files Button. Settings >> update & Security >> Windows Update and click on the Check for Update Button. Hopefully the above mentioned error and their fixes have helped you a lot. And now you are no more facing such problems while updating Windows 10 latest 1803 version. However situation often arises while fixing the above mentioned issues in which users like you might lose vital data from the Windows PC. 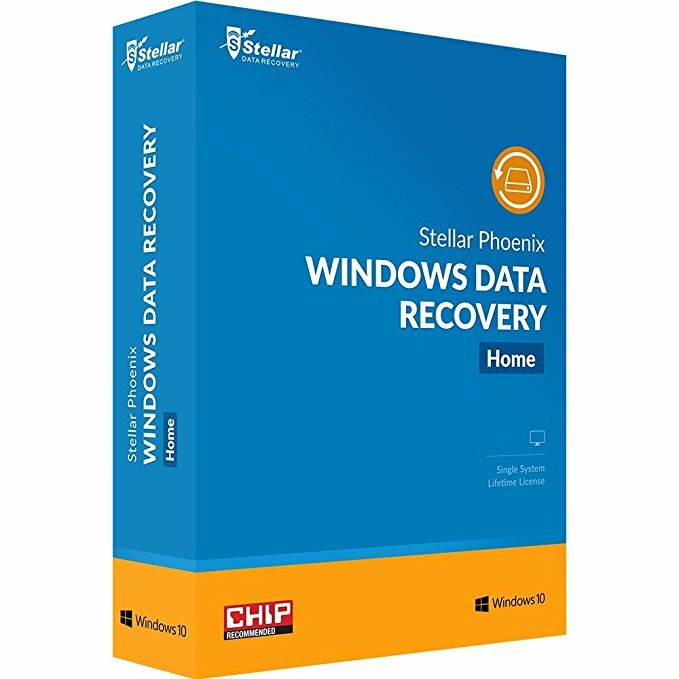 Now despite of the fact that situation is difficult to get handled, it is here suggested not to get panic and instead go for Stellar Phoenix Windows Data Recovery Software. 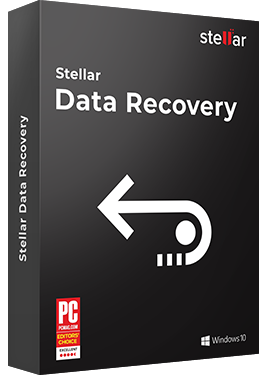 Stellar Phoenix Windows Data recovery Software, being equipped with numerous powerful as well as enhance algorithmic skills, will definitely help you in retrieving all your lost important documents and files. Safe and can Easy to recover the lost files such as photos, movies, emails, documents and much more. Support all the latest version of Windows including Windows XP/Vista/7/8/9/10. Support Email recovery from MS Outlook and Outlook Express Files. Recovers Data from NTFS, FAT and ExFAT file systems. After Knowing Features, if you need this then what you are waiting for. Hopefully, this blog helped you in solving your issues while upgrading Windows 10 version 1803. But, in case you find something missing or have any suggestion or queries please let me know by commenting in the comment box.